GREAT OPPORTUNITY to live in the Heart of Spring Branch! Located in Timber Creek on a much sought after larger lot to build on or live in the existing charming 2 bedroom, 2 bath, 2 car garage home! Sizeable rooms, wood and tile flooring, stainless appliances, recessed lighting and more! To be sold as is. No damage from Hurricane Harvey! 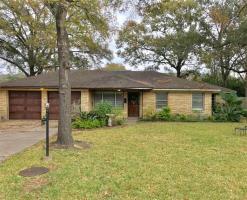 Close to Downtown, Galleria and Energy Corridor! Easy access to I-10, Loop 610 and Beltway 8! Don't miss this one!